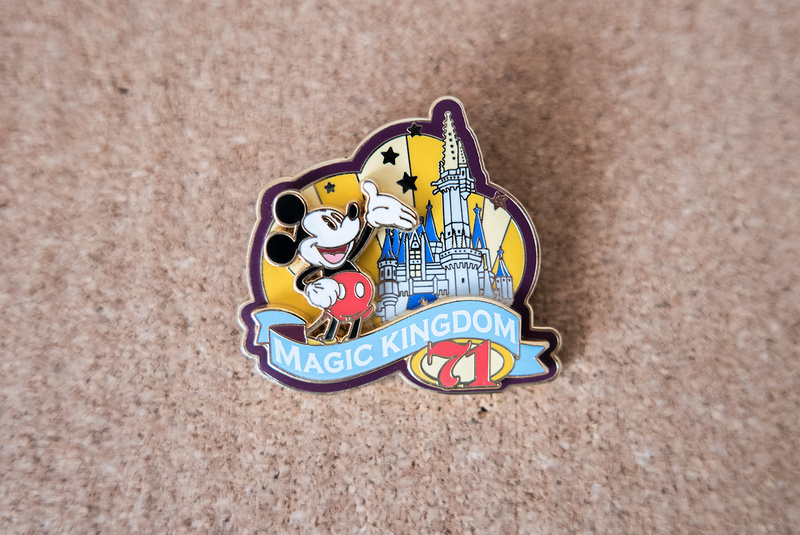 In this post I’m going to share the Disney Pins that I’ve collected through Pin Trading in the parks. I traded for them all in Walt Disney World over various trips. I know that there is a mixture of people who do and don’t trade when it comes to Disney Pin collecting. I buy pins and I do some trading as well. 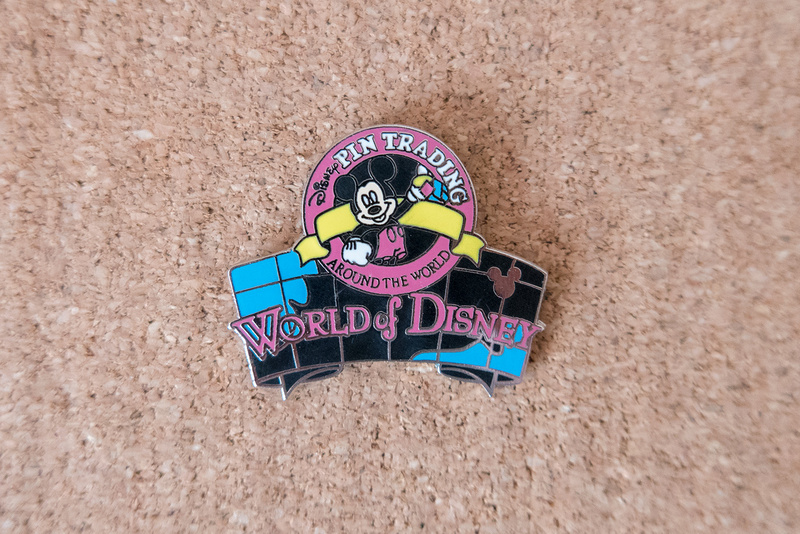 I think trading is a great way to get pins that you would never have owned otherwise. It is a great way to interact with the Cast Members, and it is a fun activity to do whilst visiting Disney. To start with are the few full sets of pins that I’ve collected. These are from my earlier trips to Walt Disney World, between 2007 and 2010. They aren’t necessarily always the most exciting pins, but when I was younger I used to love the satisfaction of completing a set. My favourite set has to be the Fastpass Series. 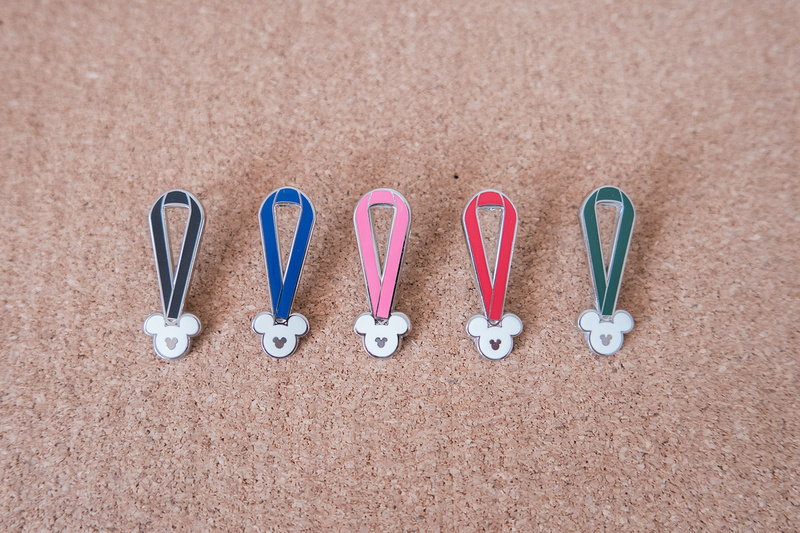 The pins are based on the old paper Fastpasses you used to get at Walt Disney World. I started collecting these because I used to love the Maelstrom ride and Toy Story Midway Mania is one of my all time favourites. The only one that I’m not particularly bothered by is Kali River Rapids, purely because I’m not a fan of water rides. I still wanted to complete the set so at the time I hunted it down anyway. Anyone else love old Fastpasses? The next set is the Map Icons from the Walt Disney World Park Maps. I have put these away now for future pin trading. Even though I do like them, I don’t like them as much as I did at the time. I’ve had them for a quite a few years and I’m now ready to trade them so someone else can enjoy them more than I do. I’ll probably take them on my next Disney trip, but if you are genuinely interest in any of them just let me know and message me on Instagram, Twitter or Facebook. My next set is different coloured medals, each with a hidden Mickey. These are probably my least favourite pins that I own at the minute, hence why they are also in my ‘to trade’ pile. They are cute pins, but they don’t really serve a purpose in my collection anymore. My last set of pins all have quotes related to Pin Trading written on them. These are really fun and I don’t think I would ever part with them. I’ve just always loved them! I traded for a few pins whilst in Walt Disney World last year. I traded a few pins that had been in my collection for a while but I no longer wanted. If you don’t already have any to trade, you can buy Starter Sets in the Disney Parks of about 5/6 pins. I would definitely check the prices of each set against each other though. Sometimes the sets of 6 are the same price as a set of 5 so it is worth checking them before making a purchase. The first is a pin from the Year of a Million Dreams. 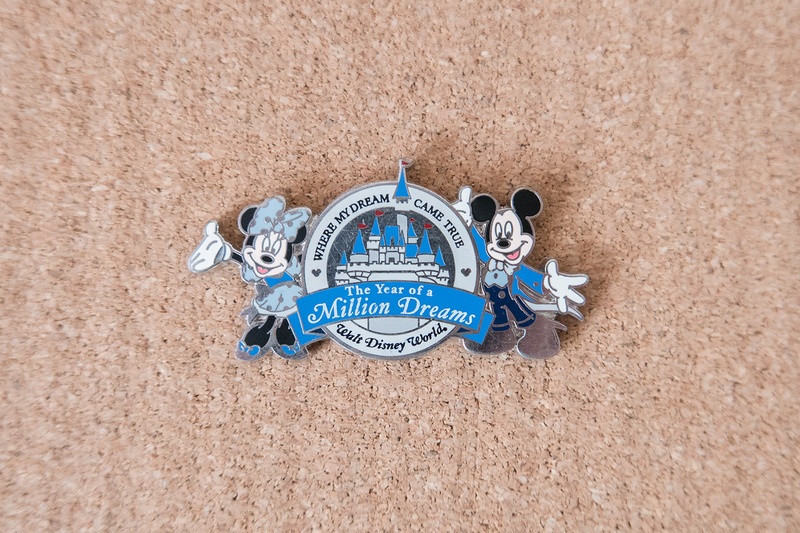 The pin has ‘Where dreams come true’ written on the back alongside ‘Exclusive Year of a Million Dreams Pin’. I didn’t realise it was am exclusive pin until I had it. I traded for it purely because I visited during the Disney event and it was running when I first visited Walt Disney World in 2007. I also just loved how cute does the design was. I picked this Mickey Mouse pin up from the Pin Trading board at the check-in desk of the Rose and Crown in Epcot. I think he originally came from a starter pack but he looked too cute to resist. Trading is a good way to get pins from a Starter Set that you want, without having to buy them all. 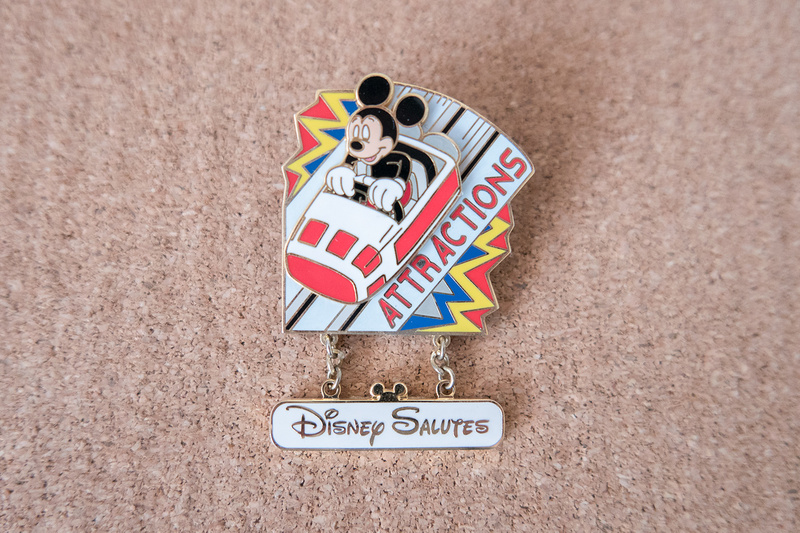 I’ve never visited Disneyland California but I would absolutely love to, which I think that is what drew me to this pin. 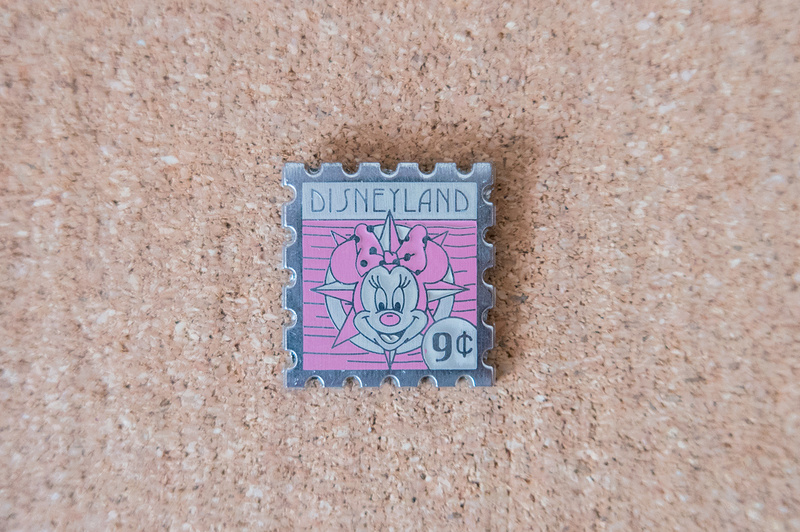 I love the stamp design and who doesn’t love Minnie Mouse. 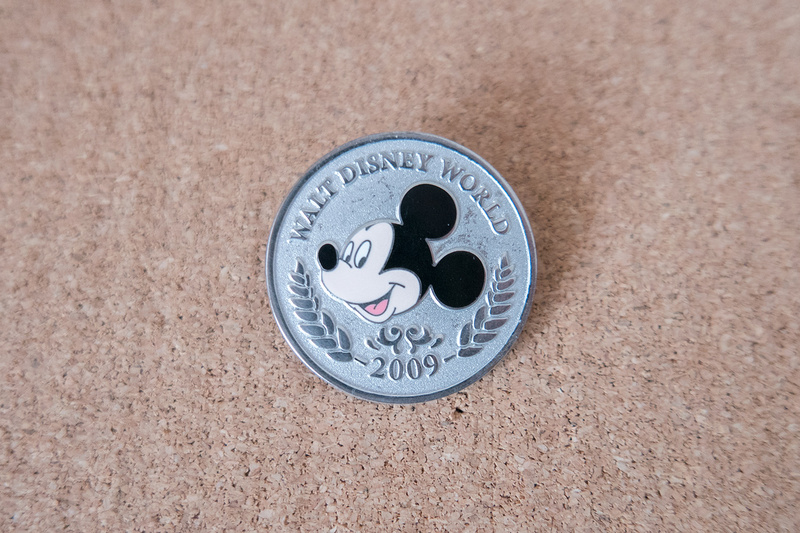 It has ‘Disneyland Resort Hotel Hidden Mickey Collection’ written on the back as well as the year 2008. 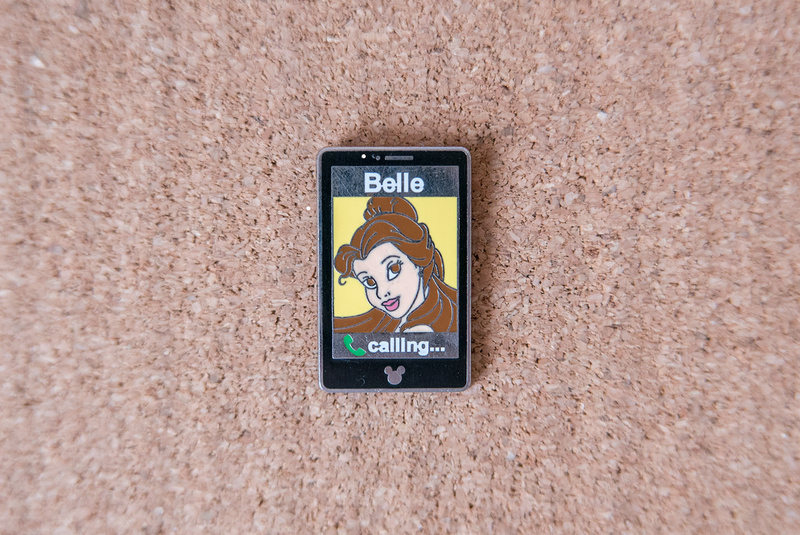 My last pin from trading last year is this Belle Phone pin. I’d never seen anything like this pin before and it caught my eye so decided to trade for it. I don’t think I’ll bother collecting the full set, Belle is enough for now. Belle is pin 3 out of 5, as written on the back. I have no idea when I traded for this one but I love how different, fun and colourful the design is. It has ‘Walt Disney World Cast Exclusive’ written on the back. I had no idea that Disney Salutes meant that it would be a Cast Exclusive, I traded it purely because of how much I loved the design. I have absolutely no idea when I traded for this one. I just loved that it had that opening year on and the design really appealed to me. From research after starting this post, I realised it is actually from the Disney Parks Collection. I decided to save my favourite traded pin until last. I’m not entirely sure why I love this one so much, but it is one that I have always considered a firm favourite. It is a Limited Edition of 1000 pin. I’m assuming I got it in 2009 as it says on the front, as I did actually visit during that year. It is plain and simple but will stay in my collection forever as I love it so much. Hope you enjoyed seeing the pins that I’ve collected through pin trading. 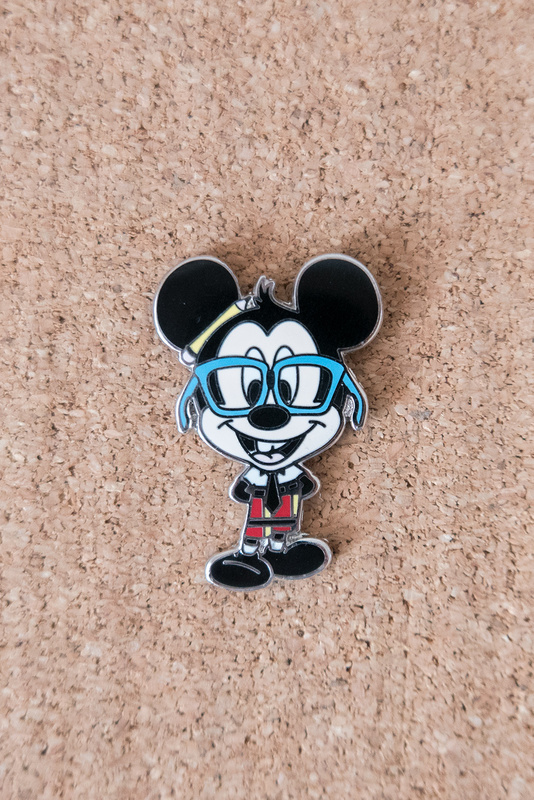 Let me know in the comments if you are also a pin trader! If you haven’t read my previous Disney Pin Post where I share my Disneyland Paris Pins, then you can read it here!